The simple elegance of this is fabulous! Such a pretty card! Now off to watch your video! This is lovely!! I like the simplicity of the design and your flowers look fabulous. I will watch your video later but am curious about the pencils. I just bought the pens and they are sitting on my desk just waiting for me to have time to play!! Wow, this card is stunning! Love the grays with just a hint of yellow. And your video is great – very informative. 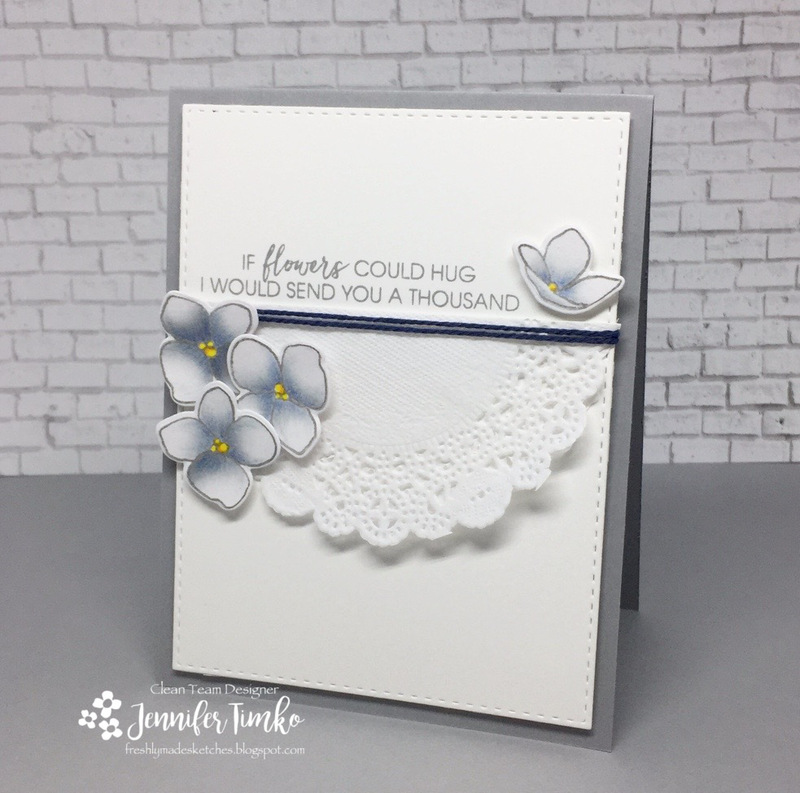 What an elegant card Jen! Those flowers are gorgeous and I love your colouring! Just amazing! Absolutely gorgeous card (thanks for making my sketch look so good!!) And thank you for the review. I think even coloring-challenged me might be able to handle them! Absolutely stunning! I am loving the perfection of these flowers and the softness you’ve given them – just divine!